According to the Russian Defense Ministry, most of the missiles launched by the US, UK and France had been intercepted by Syria’s air defenses. 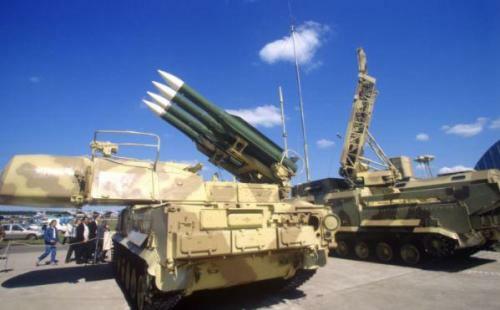 Employing Soviet-made S-125 and S-200 air defense systems as well as Buk and Kvadrat units, Syria reportedly shot down 71 of the 103 cruise missiles. These included 12 cruise missiles which had been headed toward the Dumeir military airfield – which was completely spared, thanks to the Syrian counterstrike. A spokesperson for the Russian general staff confirmed that no Russian defense systems were used to repel the attack, adding that Russia had declined to supply Syria with more advanced weapons – a decision it said it would reconsider. “The Syrian air defense system has been conducting an anti-air fight,” a spokesperson for the Russian Ministry of Defense said. Furthermore, it confirmed that the Syrian military repelled the attack using weapons manufactured in the USSR more than 30 years ago. Syria’s regime, which has repeatedly denied any use of chemical weapons, immediately denounced the strikes as “brutal, barbaric aggression” that was “doomed to fail”. “We are confident all our missiles reached their targets,” McKenzie said. As a reminder, the US said it has “proof” the Syrian regime had orchestrated the attack, though investigators from the OPCW have only just started their investigation and are not even in Syria. Late Friday night, US Defense Secretary James Mattis said that US airstrikes on Syria were a “one-time shot,” while Joint Chiefs of Staff Chairman Gen. Joseph Dunford told reporters that the US wasn’t planning any further attacks. Though these claims were apparently undercut by President Trump, who tweeted “Mission Accomplished” Saturday morning – echoing a statement made by President Bush to celebrate the “end” of the US’s mission in Iraq. Yet that announcement was, in reality, the beginning of a conflict that continues in some form even today.